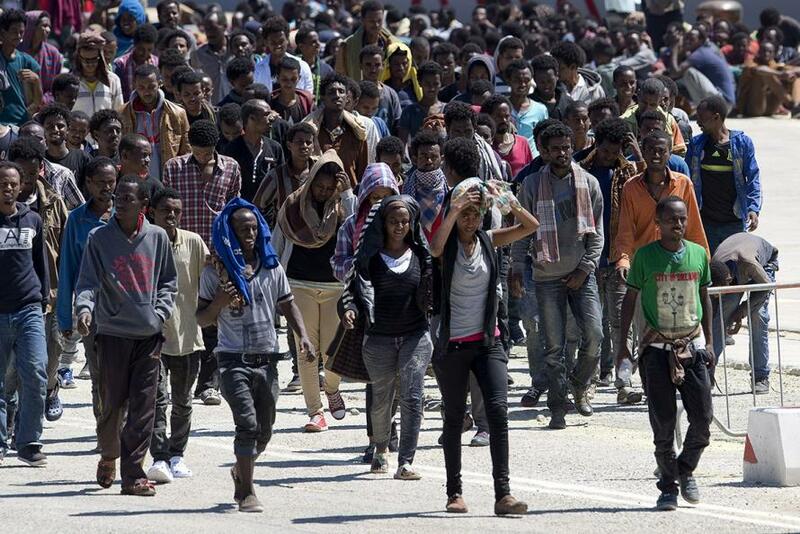 A prominent UN official warned earlier this week that the next Migrant Crisis to crash into Europe might come from Africa and not the Mideast, and that its second iteration might be much more devastating than the first due to the sheer size of possible populations involved. “You are going to face a similar pattern of what took place years ago, except you are going to have more ISIS [Daesh] and extremist groups infiltrating migration. What we are picking up is that they are partnering with the extremist groups like Boko Haram and al-Qaeda to divvy up territory and resources and to continue to infiltrate and destabilize in the hope of creating migration into Europe where they can infiltrate and cause chaos. Liberal-Globalists might salivate at what he said because they see it as an historic opportunity to socio-culturally re-engineer the essence of European society and fulfill their ideological objectives, while EuroRealist patriots might shudder because this scenario represents the end of traditional Western Civilization as the world knows it. It’s still too early to say for certain that this dystopian vision of the future will materialize, but what’s for sure is that there are plenty of systemic risks in Western and Central Africa that make it very possible that something like this could happen in the coming years, though this potential eventuality could be offset by robust security measures in the Mediterranean and a forward-focused US-French-Italianmilitary presence in the region. It should be cautioned, however, that while there’s a chance that these three countries and others might market the future expansion of their African footprint on this populist basis, there are also many ulterior reasons behind this move other than the publicly stated one, which includes of course securing access to energy deposits (such as Niger’s uranium), monopolizing new markets, and altogether “containing” China. Looking beyond the failed (former) “state” of Libya that NATO destroyed in 2011, there are several other crises waiting to happen in Africa and which could serve as the trigger for a Migrant Crisis 2.0 on the scale that Beasley warned. The first one isn’t country-specific but deals with the continent’s woes in general, and that’s the connected threats of food insecurity and explosive population growth threatening several strategic countries, the most fragile of which is Niger. This landlocked state is predicted by the UN to have the fastest population growth in the world and will grow from around 20 million people today to roughly 200 million by the end of the century if the current trajectory holds. On top of that, Niger also has one of the world’s largest uranium reserves and is unsurprisingly the site of several French bases and even a massive American drone base that’s being built in middle of the desert right now. Niger is squeezed between Mali and Nigeria, both of which are experiencing profound terrorist destabilization at the moment from Al Qaeda- and Daesh-linked groups, the first of which grew out of a failed Tuareg separatist campaign in the aftermath of the NATO War on Libya while the second broke out shortly thereafter in the Lake Chad basin, and both continue as low-intensity conflicts to this day. The US and its new global partner France are coordinating their military activities across the broad swath of longitudinal space called the Sahel that stretches from the Senegalese Atlantic Ocean coast to the Sudanese Red Sea coast. Paris is leading the so-called G5 Sahel group of states in the western part of this region that are impacted by the Malian and/or Nigerian terrorist insurgencies, but the organization has yet to show any actual military effectiveness as France has struggled to “Lead From Behind” like the US is known for doing in these cases. This “Arc of Crisis” from Mali to Nigeria, which owes its origins to the NATO-led destruction of Libya, dangerously has the very real prospect of expanding into neighboring regions, to say nothing of coming together into an unprecedented “Chaos Belt” that would put Daesh’s 2014 “Syraq” campaign to shame. There are many large and poorly government (or in some cases, outright ungoverned) spaces in this transregional zone, with the most sparsely populated of them being fertile ground for quasi-states to flourish, whether “caliphates” or something else. Burkina Faso is already at risk of boiling over due to the Malian overspill, but this “domino effect” could spread into the neighboring region of Atlantic West Africa if the destabilization of that small landlocked state triggers a recurrence of violence in the northern Ivory Coast. This country is important because it’s part of the West African “quad” of interconnected coastal states together with Guinea, Sierra Leone, and Liberia, the latter two of which experienced vicious civil wars in the 1990s. The regional security environment in some parts of Africa is such that unrest in one state could easily spill over into another, as was seen in Atlantic West Africa immediately after the Cold War as well as the highland nexus between East and Central Africa at that time too. The cascading civil wars in Rwanda and then immediately thereafter in Burundi produced what was called the “Great Lakes Refugee Crisis” and ultimately contributed to the two back-to-back Congo Civil Wars that altogether claimed the lives of over 5 million people through various means. Congo is once again on the brink of descending back into civil war, and the “destabilization” bridge between it and the “Arc of Crisis’” “Chaos Belt” that was described above is Nigerian-neighboring Cameroon and the Central African Republic that sits between them both. The first-mentioned is facing a multi-front Hybrid War against both Boko Haram and Anglophone separatists along the Nigerian border, while the latter is already embroiled in civil war. Any serious intensification of the Boko Haram crisis in the Lake Chad region could push Cameroon over the edge and into collapse if the Anglophone separatists take advantage of this, possibly current with a Color Revolution succession crisis following the inevitable passing of elderly President Biya (which could be made all the worse if “Weapons of Mass Migration” continue streaming in from the Central African Republic). 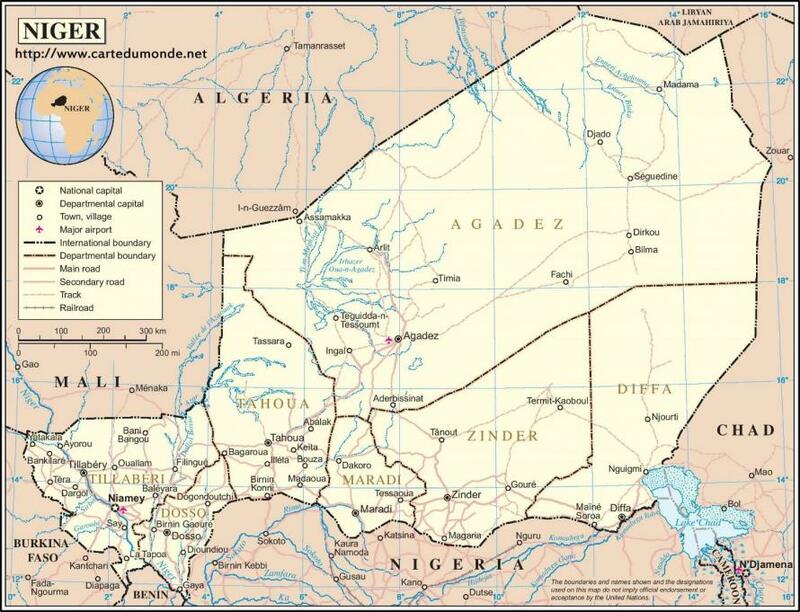 Although each nature of conflict across the “Chaos Belt” would differ from Islamist-driven violence in the west to its predominantly ethno-tribal counterpart along the eastern (Central African) edge of this zone, it’s possible to see the bigger picture of just how geographically broad the consequences of uncontrolled Hybrid War destabilization in Mali and the Lake Chad region can become if left unchecked, which isn’t even fully accounting for the unrest from the combination of growing food insecurity, explosive population growth, and dysfunctional resource export-dependent economies. For as intimidating as these somewhat interlinked continental-wide security challenges may seem, both in general and definitely from the EuroRealist patriotic perspective of a native inhabitant wanting to avoid the dystopian Migrant Crisis 2.0 scenario that the Executive Director of the UN World Food Program outlined earlier this week, the cynical argument can be made that they won’t automatically (key word) lead to a massive outflow of millions upon millions of people up north simply because most of these victimized masses are much too poor to pay the smuggling fees that comparatively better-off Syrians were able to afford. The Sahara is so dangerous to cross that these people can’t do so without expert assistance, and while some are still paying to get across in the present day, these are probably the relatively “wealthier” members of society who can afford these costs (which might be footed by their families) and not the average impoverished citizen. That shouldn’t however be taken to infer that a Liberal-Globalist “workaround” can’t be created in promoting “equal opportunity migration for all” through the Soros-led NGO network modelled off of the existing operations that are ongoing in helping illegal immigrants cross the Mediterranean as well as their Mexican counterparts involved in the so-called “caravan”. These organizations could either directly aid in Saharan crossings or contribute to subsidizing the journey at “discounted prices” in paying off professional smugglers. Either way, they’ll probably play a role in this process or at least attempt to, with the key variable being whether their homelands’ militaries deployed in the region will facilitate this or not. There could also be an interesting (and choreographed) interplay between these two actors whereby an increase in Western NGO smuggling activity is exploited to justify further military measures in Africa or vice-versa, with each of them “feeding” off of the other to result in more Western influence in the area in general. When the Executive Director of the UN World Food Program spoke about the nightmare scenario of a Migrant Crisis 2.0 from Africa slamming into Europe’s shores in the coming years, this food-focused technocrat could hardly have known how geopolitically ominous his prediction was given the multitude of interconnected security challenges stretching across West and Central Africa. Close to 500 million people – or put another way, half a billion, which is approximately the size of the EU – could indeed be simultaneously pushed out of their homes by the consequences of state collapse and also be pulled into Europe by NGO facilitation, but the reality is that not every single one of those people will be able to afford the journey. Even if a “only” quarter of them flee, which is roughly equal to the percentage that left Syria, that’s still more than 125 million people (the combined population of France and Italy), many of whom will probably succeed in at least making it to Africa’s Mediterranean shoreline. The forward deployment of Western military forces in the region, whether publicly marketed to be on an anti-migration basis or otherwise, can only do so much to stem the tide, and a comprehensive policy involving Mediterranean naval units will have to be fully coordinated with the “frontline states” of Spain, France, Italy, Malta, and Greece if Europe is to stave off this civilizational onslaught. In addition, this state of affairs will expectedly be exploited by the Brussels bureaucracy for its own “integrational” advantage. At this moment, it’s difficult to imagine how else the EU can survive amidst this towering threat, but the bloc’s possible reform into a “decentralized” collection of “Three Seas”-led EuroRealist states might present an alternate solution. Some degree of multilateral coordination is required to confront this existential challenge, but everything could be managed through new sub-regional integrational platforms (even if informal) instead of Brussels, with a future “European military” comprised of the maritime “frontline states’” forces and their hinterland allies (such as Poland and Hungary) taking the lead instead of NATO, though this might in effect end up being the same thing at the end of the day. Nevertheless, the accent is on retaining as much national sovereignty as possible and thwarting the Liberal-Globalists’ plot to take advantage of this situation in order to demolish the nation-state.